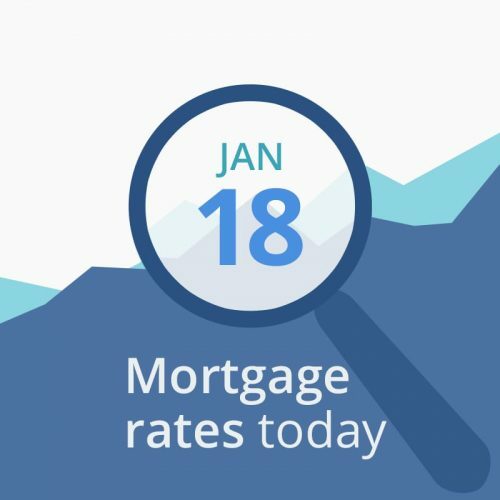 Average mortgage rates today opened with mixed results but mostly higher. The Federal Reserve reported that December’s Industrial Production increased by .3 percent, exactly as predicted by analysts. The increase is good for the economy, which would normally be bad for mortgage rates. But increases that come in as predicted are already priced into rates. This morning’s opening data are unfavorable for mortgage rates across the board. CNNMoney’s Fear & Greed Index moved up 7 points to a neutral 49 (out of a possible 100). The upward direction of movement is bad for rates. “Greedy” investors push bond prices down (and interest rates up) as they leave the bond market and move into stocks, while “fearful” investors do the opposite.